January has been a busy month for our Uniformed Public Services students. 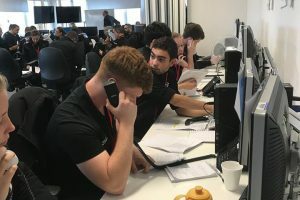 They started the New Year off by being invited to take part in a major incident exercise with Avon & Somerset Police, South Western Ambulance Service, Devon & Somerset Fire and Rescue Service, HM Coastguard and the military services. They have also taken part in public order training with Avon & Somerset Police at their specialist training centre near Bristol. 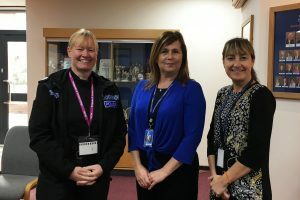 A hat-trick of Police-related activities was completed when we were privileged to be visited by Assistant Chief Constable Caroline Peters MBE who is Assistant Chief Constable for Tri-Force and Major Crime Investigations. Caroline spent the afternoon with our students discussing her amazing career and the career opportunities available within the police service. 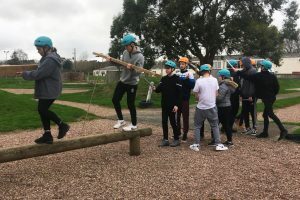 Alongside their academic lessons the students have been mountain biking, hill walking and team building. February promises to be just as exciting with lots of activities and visits planned to support their studies. Find out more about Public Services and Outdoor Education courses at Bridgwater & Taunton College here or by contacting our Information & Guidance team on 01278 441234 or info@btc.ac.uk . Pictured from left to right: Level 2 Public Services students team building and problem solving at Cannington Outdoor Activity Centre; Assistant Chief Constable Caroline Peters MBE with Ruth Burrows and Louise Rowley; Alistair MacKay and Goncalo Carvalho taking part in training.